ArtsGraphics Fine Art, Digital Gallery. 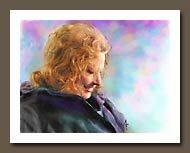 Purchase fine art prints and greeting cards. COPYRIGHT NOTICE: All Arthur Fix images shown and or sold on this site, are sole copyright of Arthur Fix protected by US & international copyright law. Images may not be copied or reproduced in any fashion without written permission of Arthur Fix. Ownership of a physical print or original artwork, does NOT grant the owner right to copy. The information, documentation, and materials provided on this web site are provided “as-is” without any warranty. Artsgraphics uses reasonable efforts to include and provide accurate and up-to-date information on this web site; it does not however, make any representations as to its accuracy, completeness, suitability or fitness for a particular purpose. From right here, you can purchase your favorite art piece as a fine art giclee print. 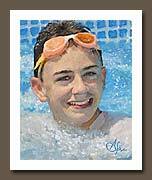 Order it printed on your choice of fine art papers or stretched canvas. You may also order each choice framed. Choose from over 230 frame designs. Also available on 5 x 7" greeting cards, with your own customized message on the inside! All card orders come with mailing envelopes included. Subscribe to ArtsGraphics Newsletter and get notification of special pricing on new works, plus get exclusive discount codes to use when purchasing any art and photography from ArtsGraphics! 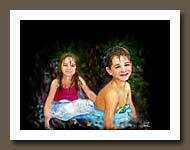 E-mail Artsgraphics if you have any questions about ordering artwork.